The 10th Annual Theodore Payne Native Plant Garden Tour took place Saturday & Sunday. 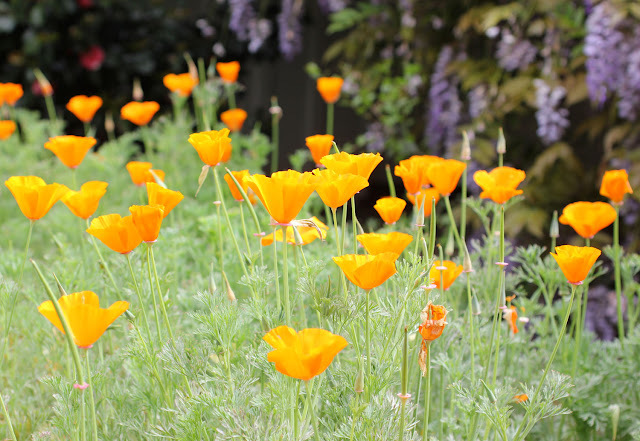 More than 40 gardens in the Los Angeles region, each planted with at least 50% California natives were showcased. 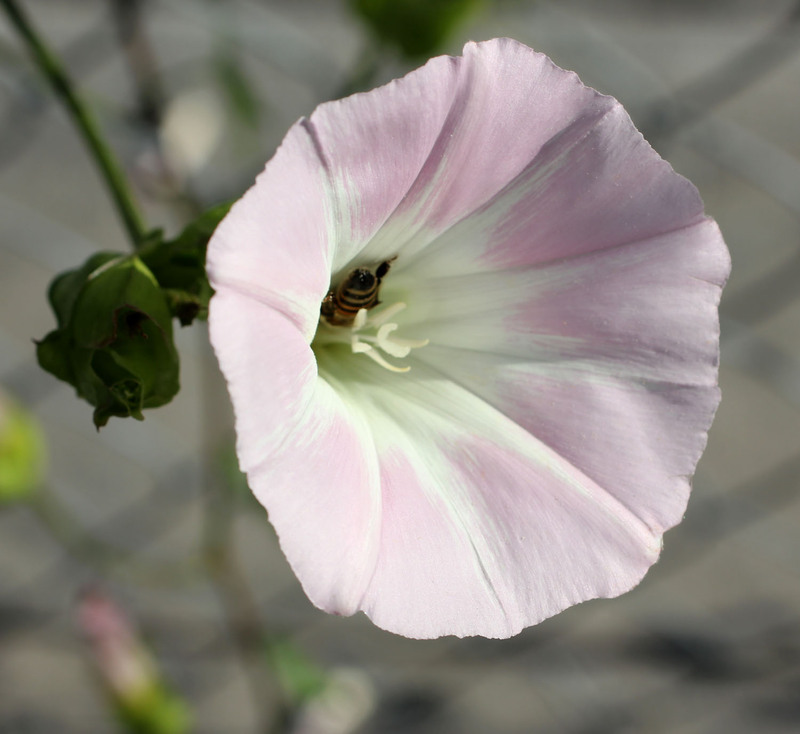 During a visit to a patio garden in Santa Monica I heard the host talking about a honey bee with "blue knees." 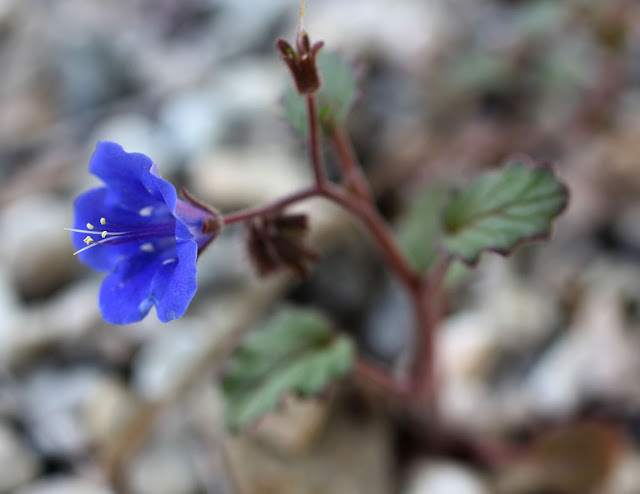 I bent down to take a look and sure enough the little feral bee had blue violet pollen sacks! I'd never seen anything like it before. 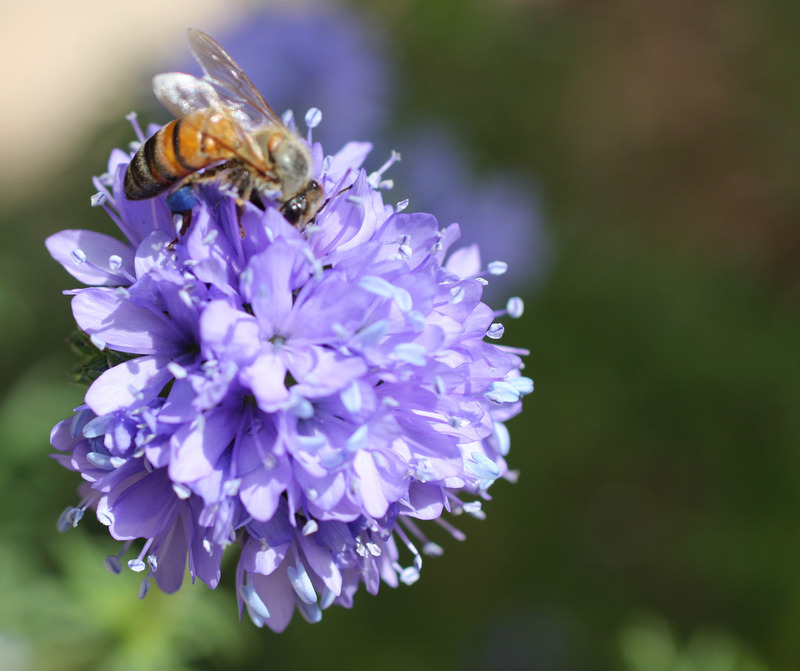 I'm intending that the blue is due to the color of the pollen from the flower and not a toxic pesticide or fertilizer. 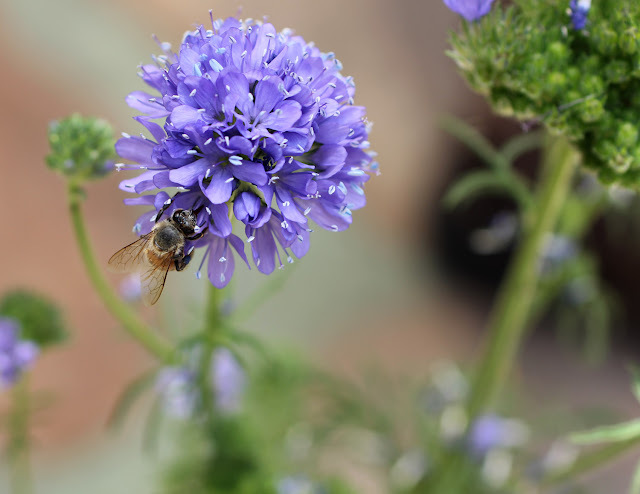 The wildflower the bee was gathering nectar from is Gilia capitata a species of flowering plant in the phlox family, native to western North America. 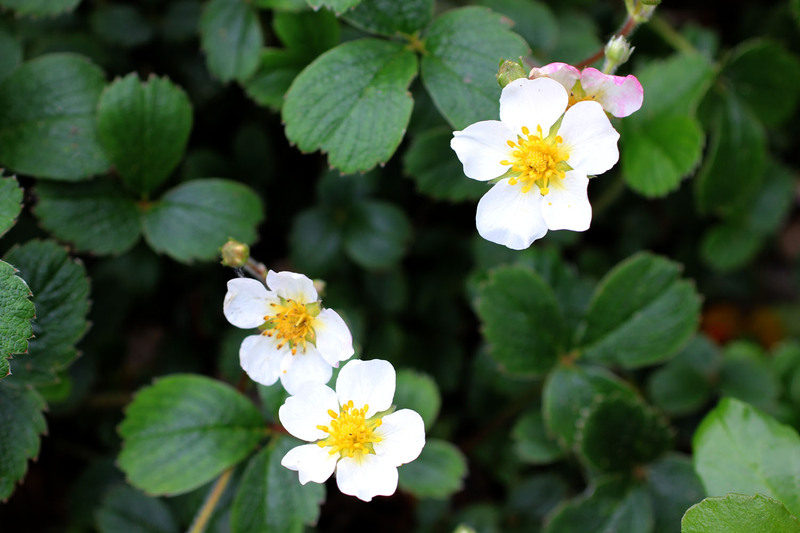 The photos below is from a garden that was surprisingly planted during the high summer heat of July, one of the worst times to plant natives, yet they survived due to a very diligent gardener. Here's the text from the tour website: "They killed their lawn! This two-year-old, owner-designed, 1250 sq. ft. front yard is now a thriving wildlife habitat and gathering place for family and entertaining—and a showcase for colorful, fragrant native flora, water conservation, and energy and waste reduction." 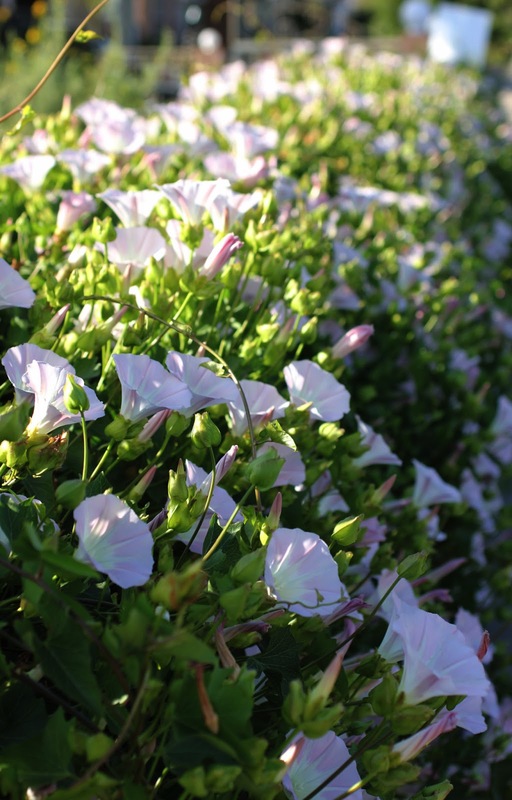 Anacapa Pink Island Morning Glory hedge in Burbank, the honey bees love this plant. I'm considering planting this one where our non-native morning glories are failing. 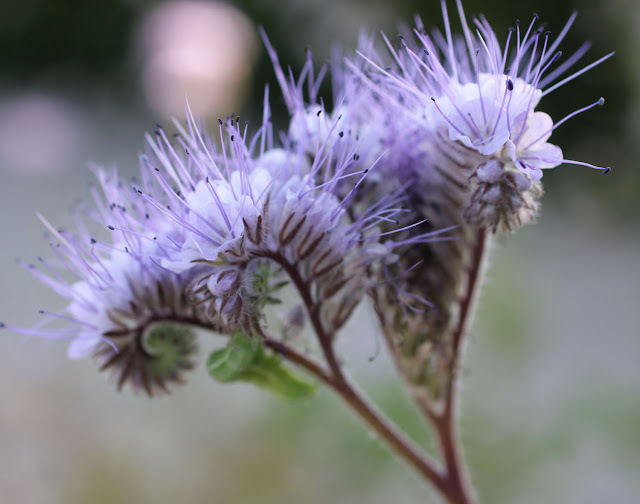 golden section beauty above and below is called Caterpillar Phacelia, Phacelia cicutaria. On Sunday we traveled over the hill to the Santa Monica area. Garden 26 in Brentwood This garden is "a two-year-old 2,000 sq. 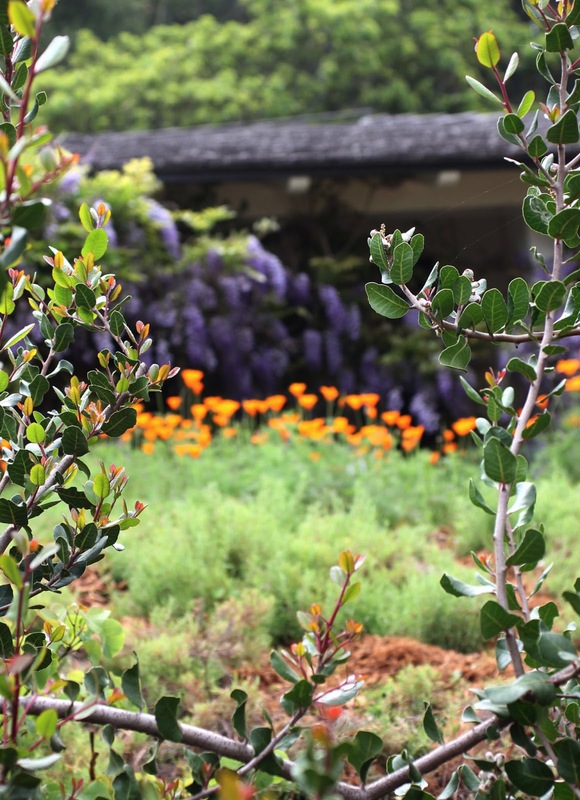 ft. front yard of sage, buckwheat, penstemon and other drought-tolerant natives that provide color, support wildlife and tolerate heavy soil. Enhancing the scene is a very old coast live oak that elegantly overhangs the driveway. Drip irrigation and a weather-smart controller complement green elements of the home." This cute 1950's cottage, which has a similar feel to our little house, featured blooming Ceanothus and a small field of native poppies. 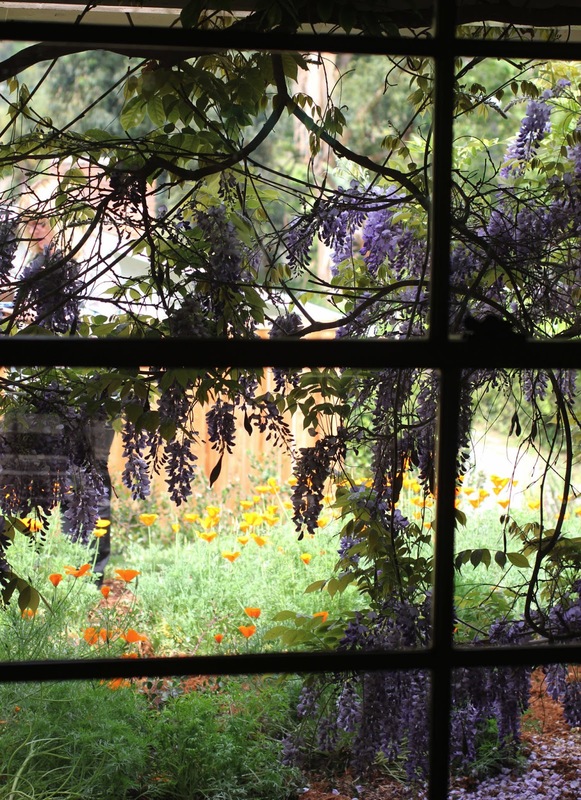 Due to the owners mindful planting her garden is filled with the song of birds. This garden was designed by Nancy Cipes and Margaret Oakley Otto of Oakley Gardens. on our front slope under the oaks, doesn't quite look like this...yet! The view of the front garden from the living room window. 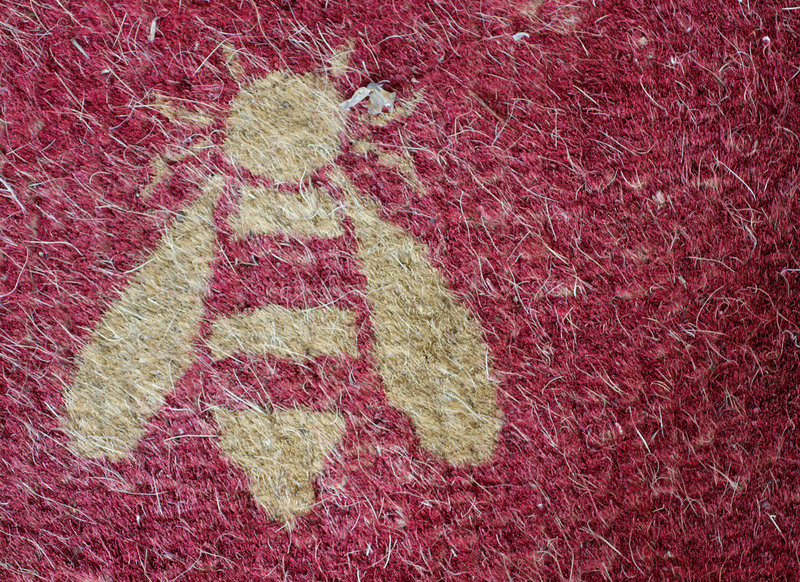 The welcome mat had a honey bee! Unfortunately I had too much going on this weekend and wasn't able to visit some of the spectacular gardens located in other parts of the city like Pasadena and downtown areas. 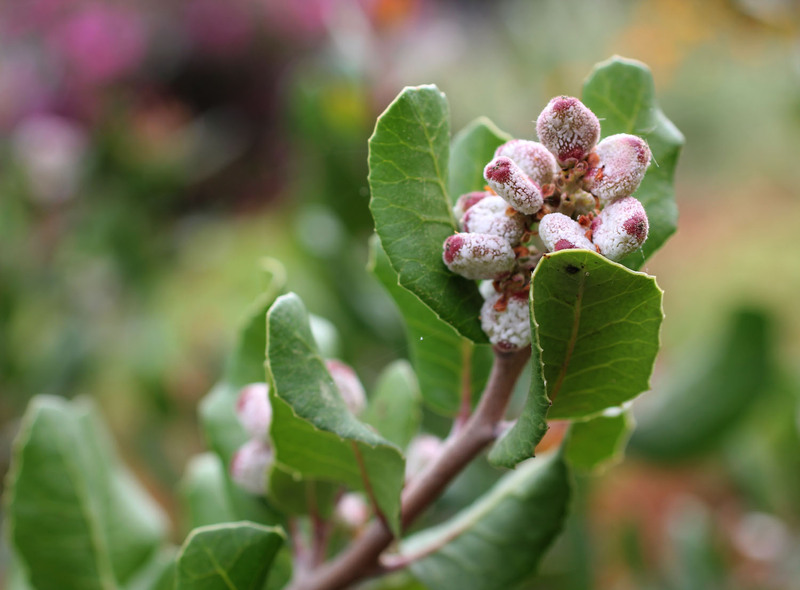 More posts here at the journal about California native plants can be found here. 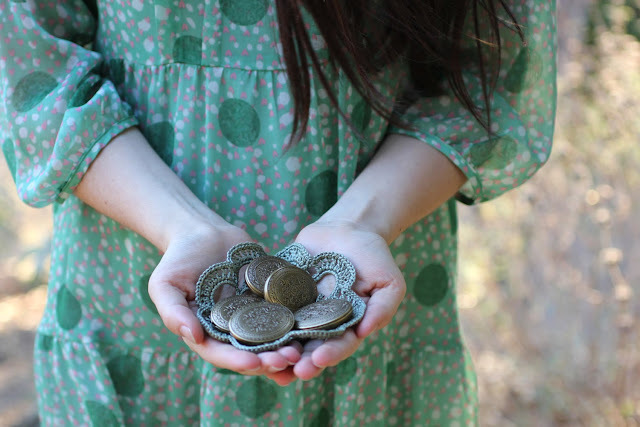 Roxana, I have been following your blog for a long time and I am so grateful for all that you share here. 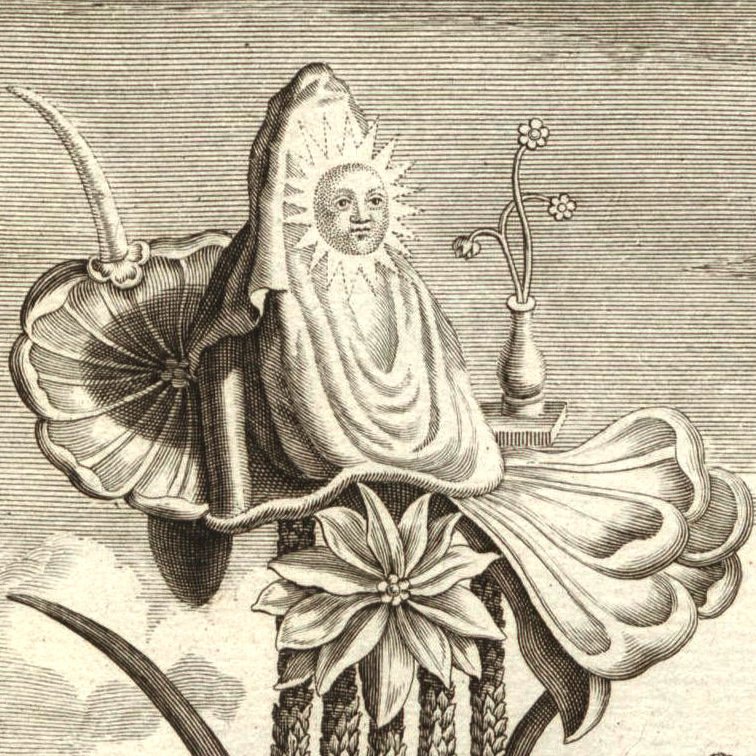 I am beginning to embark on my own fragrance making(sourcing non synthetics) and plant growing journey as I have felt a kinship to both for many years. Finally I am committed to putting my energy into what I love. I was wondering if you have any book/resource recommendations? Thank you again for all of the beauty, knowledge and inspiration you share here. It is enhances my world and imagination. Just want to say congrats for your work, lovely packs, beautiful photo, grat desing... Everything! 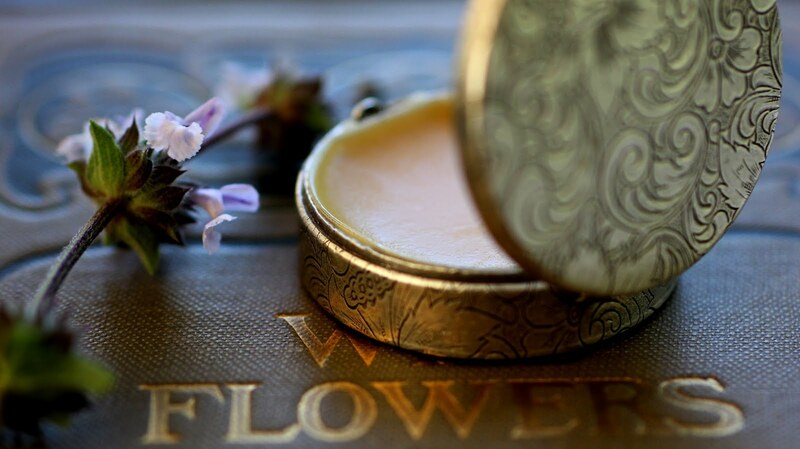 I started to make my own solid perfume, and I've found you..